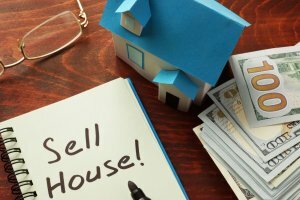 There are a lot of different ways to sell your home, but nothing beats cash in your pocket as soon as possible. 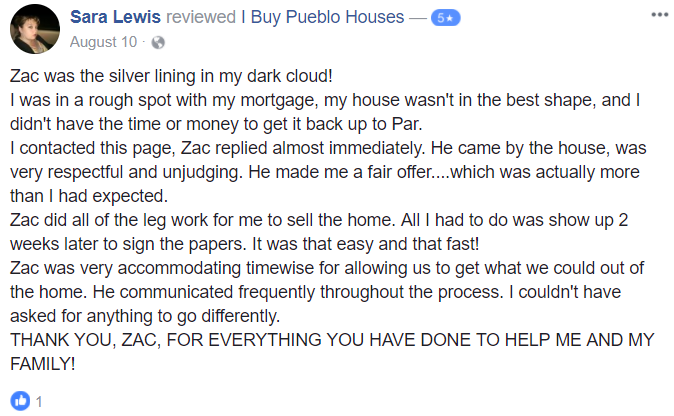 Thankfully, you will experience no shortage of people and businesses willing to buy your house for cash in pueblo. However, it’s important that you learn a little bit about this process, so that you can maximize the value of your home, while still making a quick sale. To be certain that you are able to get the best end result possible, and adding some cash to your bank account by selling your home, read on and follow these strategies. There are average real estate brokers and extraordinary real estate brokers. When you’re looking to get a cash purchase on your home, you definitely need to make sure that you are doing business with the latter. Look at the company’s Better Business Bureau (BBB) status to get an idea of their capability. Companies that have A or A+ BBB ratings generally are highly regarded in their field and practice straightforward, honest business. This is definitely important since you are trying to sell for cash and make a sale as quickly as you can with someone reputable handling the transaction. Speak to about five different brokers, and ask them what methods they use to find cash buyers. This way, you’ll have protection while closing the deal, and some leads on finding buyers. When you are in need of home repairs, it can potentially put a damper on your ability to make a sale. To really get the most value out of this process, handle a repair so that your home is of higher value. You definitely need to address problems with the structure of your home, or with issues related to utilities. By getting these repairs, your home will have fewer issues to address, which is definitely attractive to buyers. However, definitely don’t lose hope if your home needs some work. There are plenty of cash buyers that specialize in purchasing fixer-uppers. Having a home that needs some repairs might even work in your favor when it comes to finding cash buyers, since they may be willing to give you cash today, to invest in remodeling your property. However, if there are ever any repairs that you can address without breaking the bank, take the time to handle them. Quality brokers might even be able to match you up with professionals who can tackle your home repairs. It’s vital that you also increase your search prospects since there are plenty of businesses that do nothing but buy homes for cash. These people are typically investors looking to make repairs to flip your house. Working with these professionals puts you directly in touch with someone that has the cash on hand to make you an offer. Before doing this, make sure that you get an appraisal for your home, to know how much you might expect to receive. This lets you know the value of your home and gives you the opportunity to get a return on your investment. Once you receive an appraisal for your home, it becomes easier to get market value. However, if you’re looking to sell your home quickly and for cash, it might be worth your while to shave a bit off of your asking price. Doing this incentivizes cash buyers to make you an offer, and lets you get your money quicker. Take a look at home values for your property and the surrounding properties in the neighborhood. This way, you’ll be more informed when looking for someone that will buy your house for cash. The more traction you get on your home listing, the better. When looking for the best outlets, make sure that you turn to social media. In fact, Facebook is one of the best outlets you can use to post home listings. People of all ages and demographics are on Facebook, and you can take advantage of their ads, which are inexpensive and greatly increase the traffic you’ll receive. Whenever you post a listing on social media, include plenty of quality pictures and videos to give people an idea of what they’re getting when they purchase your house. It’s important that you make the home presentable for tours, so that you can draw in the best buyers. Even if you’re looking to make a quick sale, people will want to take a walkthrough of the house before purchasing it. You should also make the house available for professional inspections so that you can close on the home. In addition to getting a professional cleaning and arranging the home in a way that is inviting, you will want to have a broker available for tours so that they can answer buyers’ questions. You can take it a step further by creating virtual tours online, which are great for traffic and can speed up the sale process. You will want to have the best team of professionals available to help your deal go through. In addition to a real estate agent, you will need a property lawyer who specializes in these transactions. By having your ducks in a row, the closing process will be smooth, and you’ll be ready to move forward when a deal is on the table. When you’re looking for the right buyer, it can take time, and you might experience hits and misses. Reach out to our company and we’ll gladly help you out in any way that you need. For more information or to get in touch with some seasoned professionals, or to receive a cash offer, contact me!